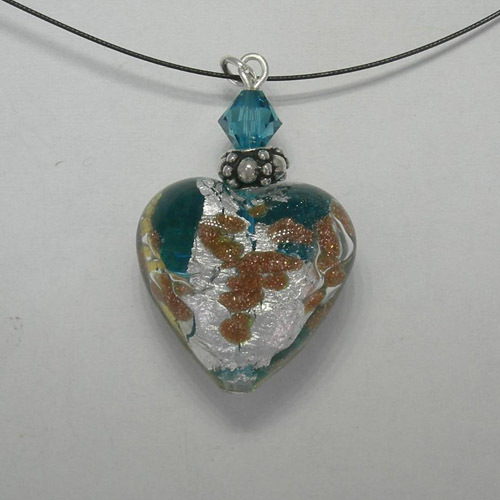 Desc: Venetian Glass Aqua Luna Heart on nylon cord necklace. The nylon cord is black and has a base metal lobster claw clasp colored silver. 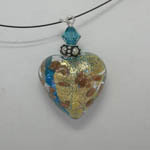 The heart shaped Venetian Glass pendant is medium light blue with Gold, Silver, and coppper colored designs. One medium light blue crystal is mounted in the bale.